Now I’m here full time and tending the gardens, they are responding well. Other than hail, there have been other set backs including very dry weather and hordes of tiny flying insects that seem to invade the plants. Locals tell me these are unusual (but to get used to different challenges each year). Even the most avid permaculture people are encouraging to spray so I’ve succumbed with a Pyrethrum insecticide. The downside has been that the hail hammered the olives and citrus which appeared to be covered with baby fruit, as well as my white muscat grapes. I won’t see much there this year. 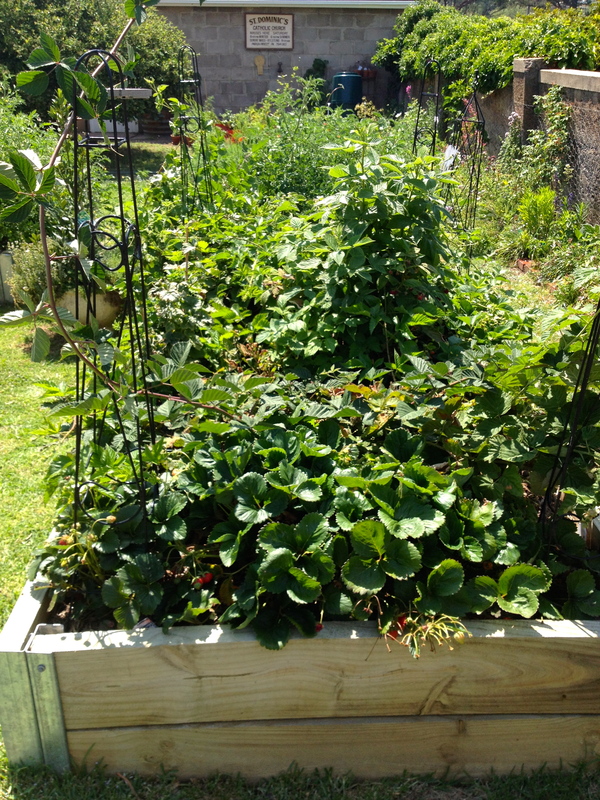 On the other hand it was wonderful to go to the garden each day and pick fresh salad for my parents. As usual, I’ve way overplanted. The cherry tomatoes are the dominant plant this Summer. Whilst they had been stripped bare with the hail, it seems like they have all come on well and I’m now heavily pruning laterals to keep under control. Some are fruiting (enough for daily consumption) but I think in a few weeks I will have a glut and preserving will be on the agenda. I have struggled with the cucumbers. Despite buying many punnets, they all seemed to disappear into nothing within a few weeks. I’ve been told that this was the work of the tiny flying insects and pumpkins and potatoes have suffered the same fate within the area. 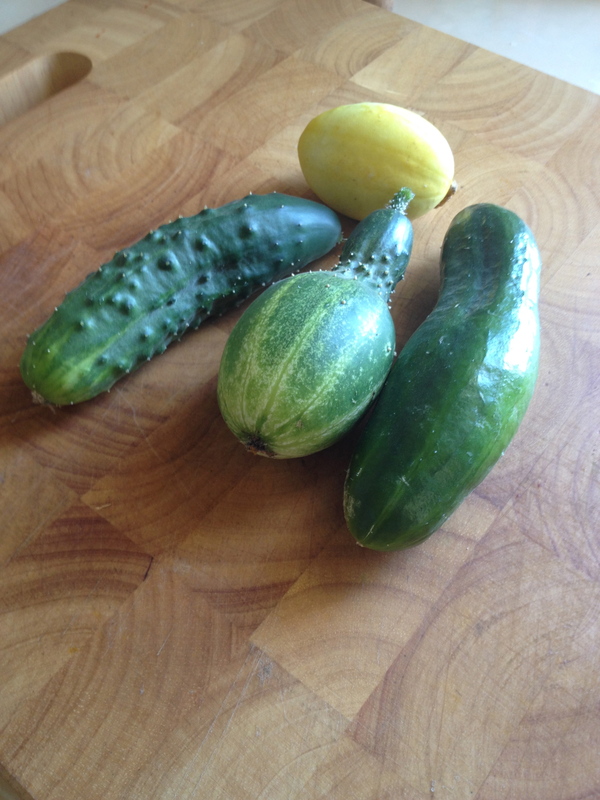 Well, I now have a few different cucumbers and am looking forward to a taste test. 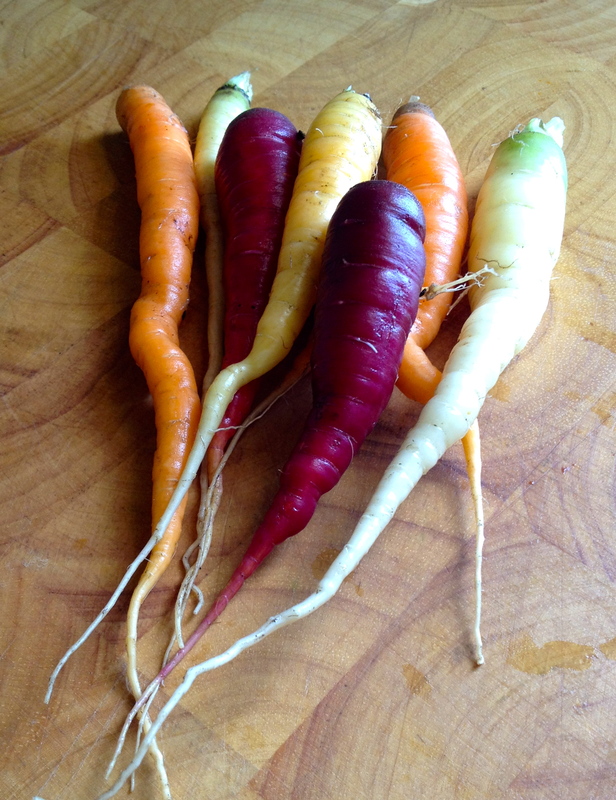 The carrots are a delight – all different colours and so perfect. The brown onions still just look like blobs at the end of the stalks, but the white onions are gorgeous and so milky juicy. My butter beans are going gangbusters – we had plenty for Christmas Day and I’m still picking and storing them. My favourite is probably the lady finger eggplants that look like black dripping jewels. 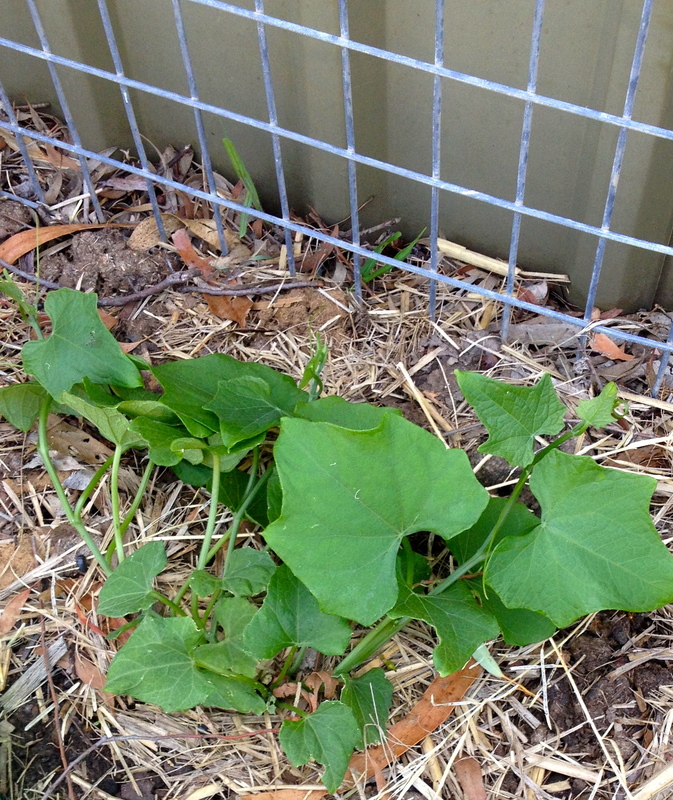 The zucchini are also growing, although you need to keep an eye on these sneaky little creatures – if you miss picking them, they grow into monsters. 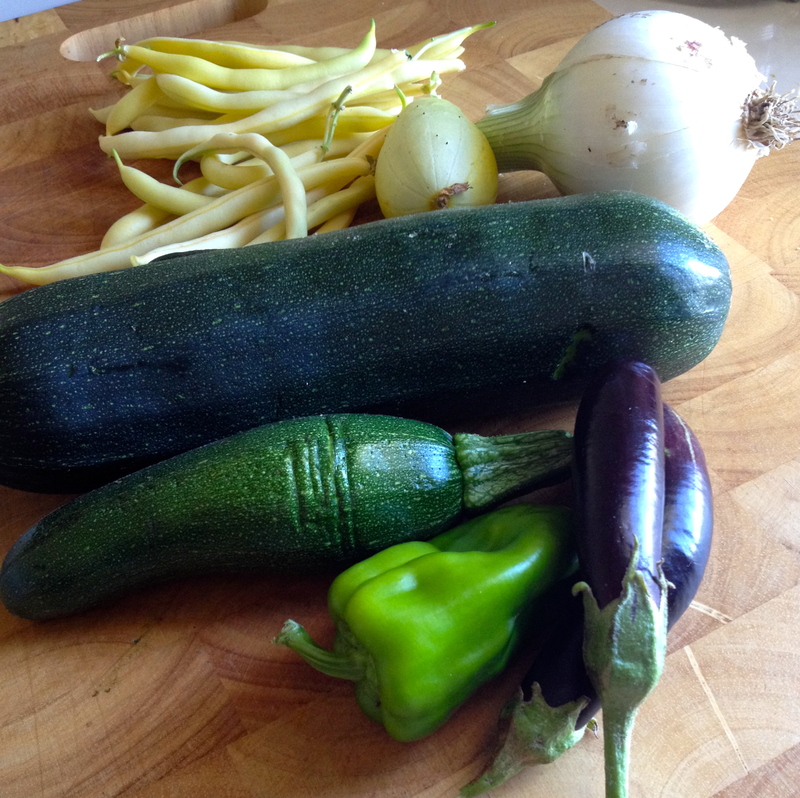 Last night my daughter and I had ratatouille using my own onions, capsicum, zucchini and eggplant. Unfortunately I didn’t have enough tomatoes yet but it was still rewarding. 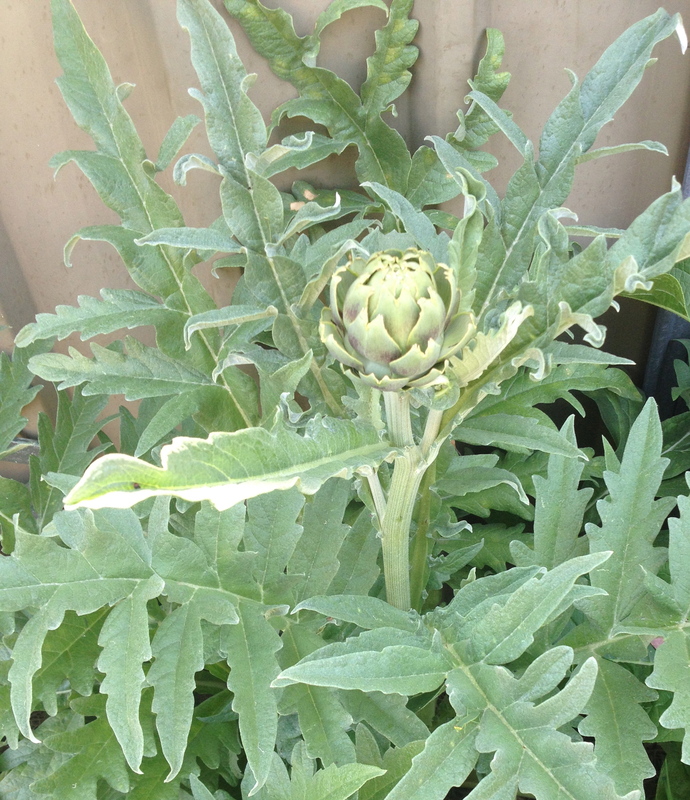 I have an artichoke – not sure what to do with it yet. I also have rhubarb which I haven’t used before. The beetroot is looking healthy, the chokos have just kicked into gear and may start climbing their wire frame shortly. 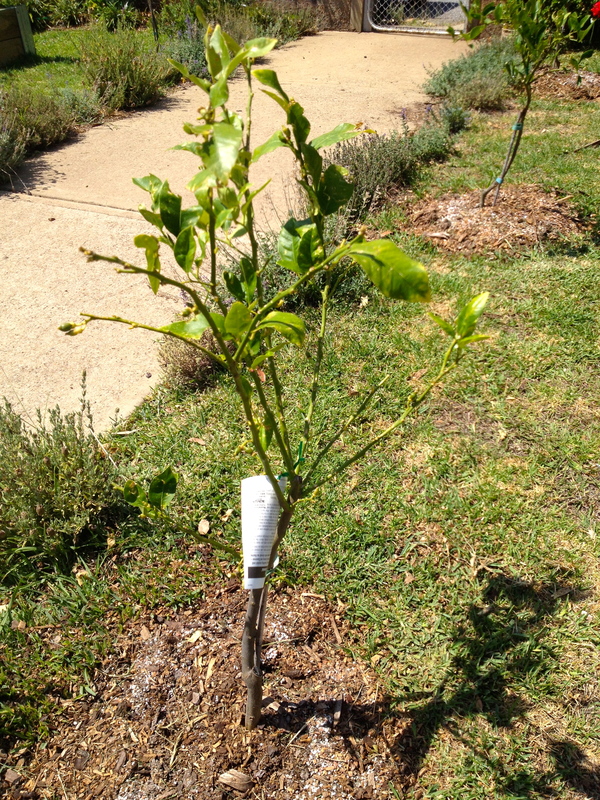 The kiwifruit also seem to have survived and are now showing signs of growth. The potatoes (all nine bags) have been a disappointment. Between the hail, the bugs and a novice planter, they have gone from magnificently green to deathly and now showing signs of improving, however I will count myself lucky to find the original potatoes, let alone any new ones. I also had greater hopes for the berry bed – I’ve had some fruit – enough for sorbets and ice-cream, but had hoped for much more. However there is a huge amount of growth and now I’ve sprayed, maybe I will see more. Anyway, it’s exciting to see the changes everyday and I value every inch of garden to see what it can be home to. What does one do with a single artichoke?